Help support the expansion and digitization of Dexter Gordon’s legacy through our new fundraising campaign. Dexter Gordon was nominated for an Academy Award in the 1986 French film Round Midnight. The Society welcomes requests for public screenings of the film at local and international venues. Maxine Gordon is the widow and former manager and producer of Dexter Gordon, a jazz scholar, archivist, and oral historian. 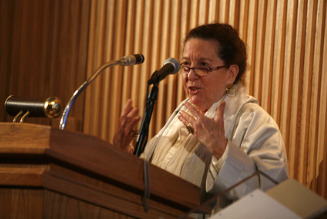 She regularly conducts public talks and panels around the world. The Dexter Gordon Legacy Ensemble is a configuration of world-renowned musicians who assemble each year to commemorate the life and legacy of Dexter Gordon.